Academic rating is, precisely, a “single linear scale” and it is, by far, the major driver of admissions decisions. This is true both for the process as a whole and within sub-groups. For example, African-American applicants with academic rating 1 to 3 are virtually certain to be admitted while those with academic rating of 9 are almost always rejected. The College may have different standards across sub-categories but, within each subcategory (except athletes and development prospects), the academic rating explains 90% of the variation. For most attributes, the College does not need to dip below AR 1s and 2s. Yes, being a top musician may help you in the competition with other outstanding students, but, if you are AR 3 or below, it won’t. You will be rejected. And the same applies to other attributes. Top students are also, often, deeply involved in social service or theater. In high school, they often excel in research science or political activism. If Williams were to admit only AR 1s/2s, it would have plenty of students in all these categories. 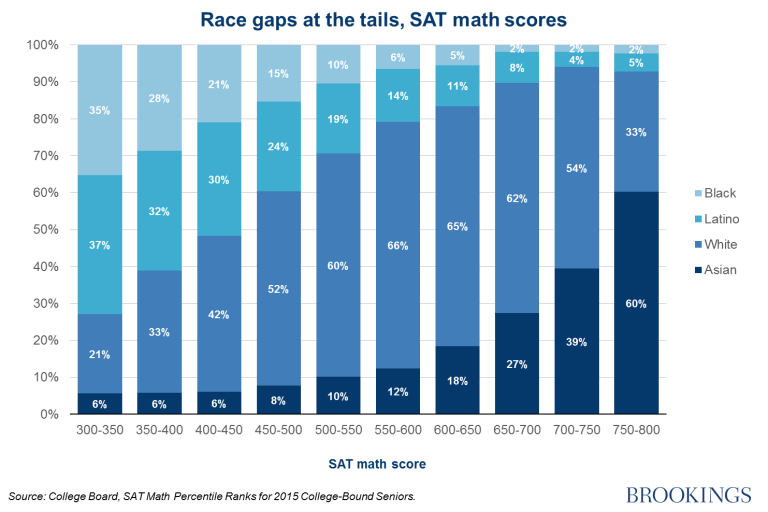 3) Unlike athletics (which the college is, sometimes, transparent about) and race (on which there is good data), family income and parental education are trickier. The College reports (and is proud of the fact) that about 20% of students are eligible for Pell Grants and that about 20% of students are first generation college students, meaning that they come from families in which neither parent has a 4 year BA. (Of course, there is a big overlap between these two groups, and, to a lesser extent, between these two groups and African-American/Hispanic students.) The problem is that all standardized test results (and, therefore, academic rating) are much lower, on average, for such students. So, in order to get to 20%, Williams must admit scores of such students with AR 3 or below. And that is how admissions works at Williams, and at almost all other elite colleges. Beauty is in the of the beholder (and the Admissions Office). That should be “eye of the beholder”. Someone should start proof reading before sending. Many, many AR1’s and AR2’s are rejected during the admissions process. If a player that a coach wants is an AR1 or an AR2, what does the coach do to maximize (ensure?) that the player is admitted? 1) This is not an area that I am expert on. 2) A lot depends on what you mean by “want” in that sentence. If the coach wants the player badly enough, she can just use one of her tips/protects on the player. Problem solved! Come on! You only have 20 spots on the team. You can’t possibly have a place for even a small percentage of those AR 1/2s. 4) From the point of view of an applicant — and, speaking completely hypothetically of course! — and her parents, none of this matters. Talk with the coach. They will either promise to help you out — i.e., apply early and you are on — or they won’t. Exactly how they do that is largely irrelevant to the applicant. Williams is inclusive except certainly at its Admissions Office or presumably when it is behooved otherwise not to be.